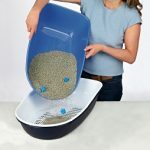 TRIXIE Berto Sifting Cat Litter Box Review - Does This System Work Well? 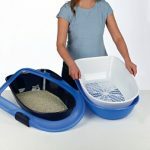 Trixie Berto sifting litter tray is a practical system to clean your cat’s litter box. 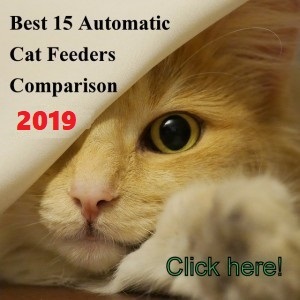 If you want to reduce the time you spend on scooping the litter box, the Trixie Berto will help you because it sifts all the clumps at once so you don’t have to be scooping the litter clumps one by one. You simply need to lift the pan and sift all the waste from the clean litter to disposing it. This mechanism doesn’t use electricity or expensive supplies. 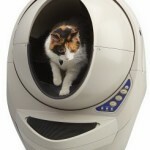 It’s a good option for cat owners that need an economic solution to self clean the litter box. The system is hygienic and it saves you on litter. It comes with two stack-able trays and one sifting pan. 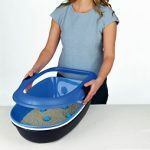 Trixie Berto litter tray is suitable for kittens and adult cats and multi-cat households, up to 2 cats. Tray 1 (black) and Tray 2 (blue) are stack-able and both are part of the bottom. 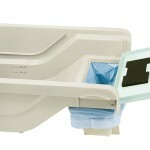 The sifting tray goes in the middle of the tray 1 (black) and the tray 2 (blue). The top frame connects the 2 stack-able trays and sifting tray together as a whole. 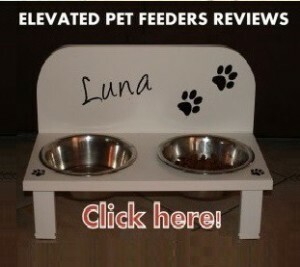 To start using the litter box simply pour litter into the tray 1 (black). To clean the Trixie Berto you need to unclick the crasps and lift the top frame. Then you lift the tray 1 (black) and pour the litter into the sifting pan. Once the sifting pan has all the clumps on the surface, you dispose them. Then you put the sifting pan on top of the tray 2 (blue) and place the tray 1 (black) at the bottom. The Trixie Berto is ready for another use. Note: The colors on the below sequence of pictures belong to a Berto litter box that has already been cleaned. The above description is when you need to clean the unit for the first time, the blue tray is located at the bottom. There is an alternative method that you may find simpler. 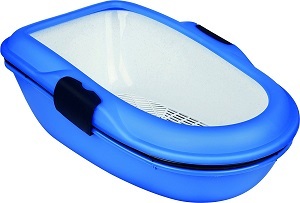 The sifting tray goes on top of tray 1 (black) and the tray 2 (blue) goes stacked at the bottom. 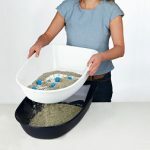 When start using the Trixie Berto you need to pour litter into the tray 1 (black) covering the sifting pan completely. 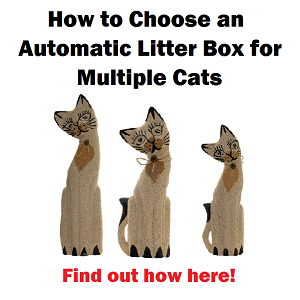 To clean the litter box you need un-click the clasps and lift the top frame. Lift tray 1 (black) and put it aside, separating from the bottom tray 2 (blue). 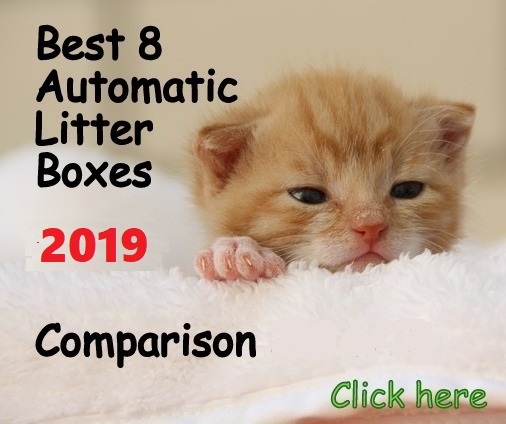 Grab the sifting tray and start sifting the litter, separating the clumps from the litter. When the sifting tray has only clumps on the surface you can dispose the waste. All the sifted litter is sitting in tray 1 (black). Place the sifting pan on top of tray 2 (blue) and pour the sifted litter into it. Then place tray 1 (black) at the bottom, put the top frame on top, connecting the clips and the Trixie Berto is ready for another use. You need more space to separate trays and do the sifting process. 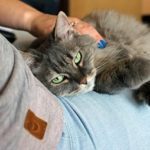 If you have a diabetic cat that urinates a lot, some urine could leak into the bottom tray if not using the right litter or amount of litter. Use a fine, slick litter, like Arm & Hammer slide. 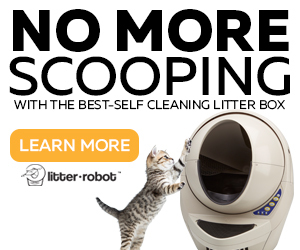 This will ensure that when you are sifting the litter, it won’t get stuck in the sifting pan. It also allow to form hard clumps that won’t break down. Before dumping the clumps make sure to corner them to avoid spills. 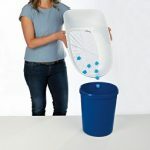 Easier to place a wide bag next the the Trixie Berto to dispose the clumps right away (as shown in the video). 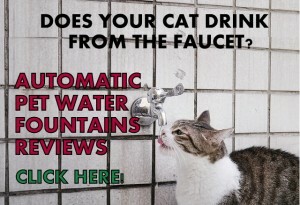 If you use the litter box for two cats, make sure to pour a fair amount of litter to avoid leakage in the bottom tray. 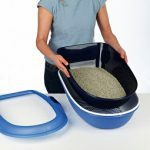 Trixie Berto sifting cat litter tray is a well constructed, solid litter box with a quick and effective system to clean your cat’s litter in less time. 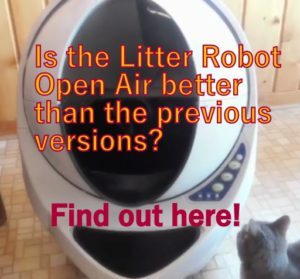 If you don’t have time for cleaning your cat’s litter box and don’t want to spend money on an automatic litter box, the Trixie Berto is a good alternative. 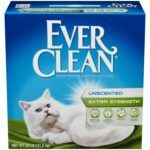 Also, if you have body aches that make it difficult for you to clean the litter box daily, this is a good option because, even though it doesn’t avoid you to lean over or squat, it reduces the time when doing it. For people with arthritis or backaches.